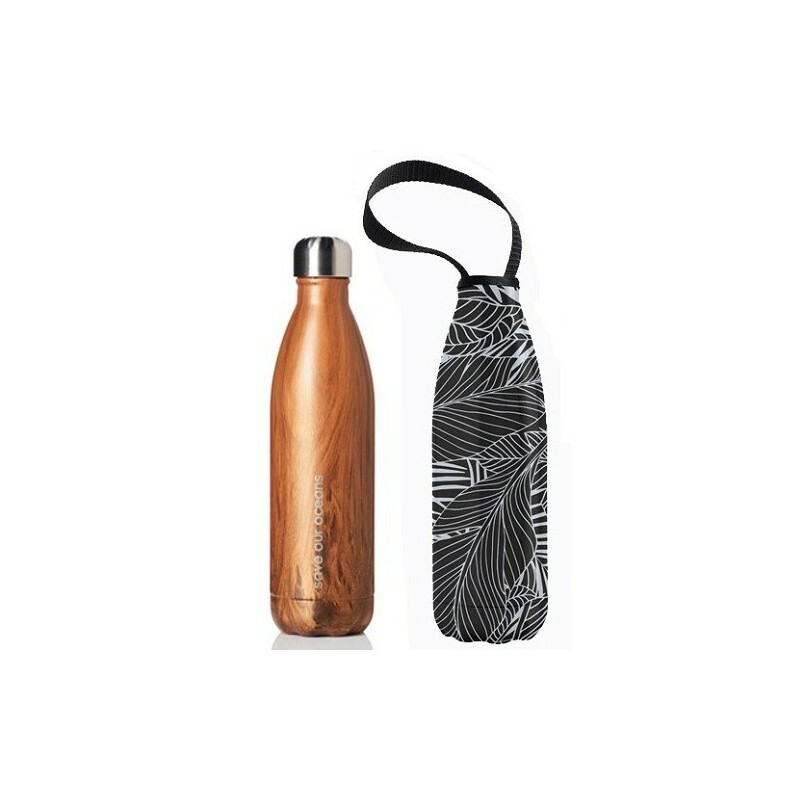 This stainless steel water bottle is insulated to keep liquids hot for 12 hours and cold for 24 hours. Woodgrain print on bottle. Includes a neoprene sleeve with a black and white 'Leaf' design. 750ml. High quality stainless steel is taste neutral and non-porous. Airtight lid and double walls create a vacuum to preserve temperature. Do not put in dishwasher - handwash only. Do not put in freezer - liquids expand when frozen and may cause cracks. Not for use with fizzy drinks. Always underfill when using hot drinks to avoid burns. Quality neoprene cover with zip and carry handle. Machine washable. Neoprene cover will protect from knocks & drops and insulate to keep drinks warm & cool. Black and white Leaf design featured on neoprene sleeve. 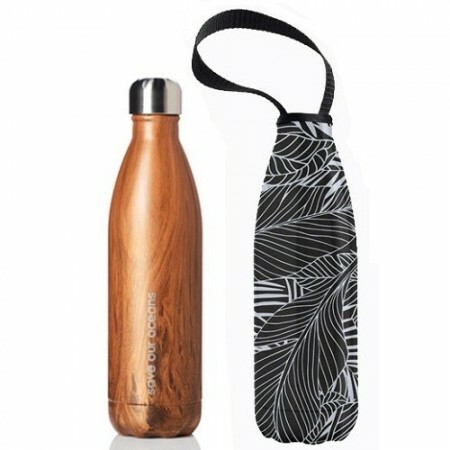 Bottle has a woodgrain design. 30cm x 8cm. Highest Grade 18/8 Stainless Steel and neoprene sleeve.